The Centers for Disease Control and Prevention (CDC) recommends a yearly flu vaccine for everyone 6 months of age and older as the first and most important step in protecting against this serious disease. Getting the flu vaccine as soon as it becomes available each year is best. It takes about two weeks after vaccination for antibodies to develop in the body and provide protection against the flu. 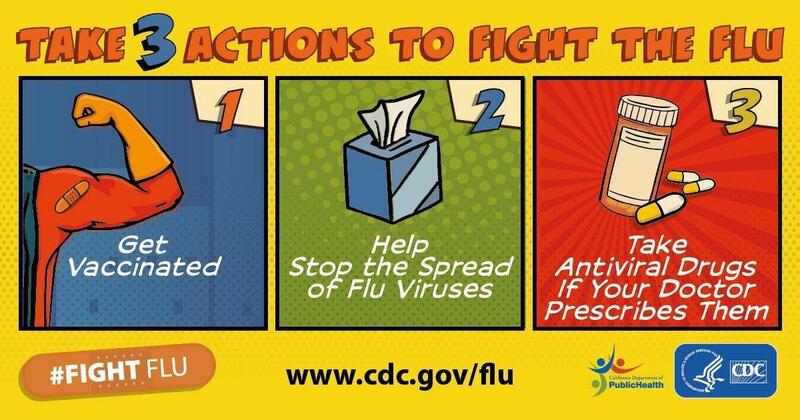 Influenza seasons are unpredictable and can begin as early as October. 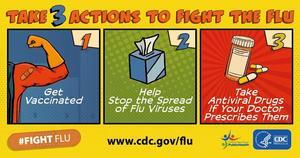 You can also take some basic steps to protect yourself and family from getting flu and other respiratory infections. Make sure to wash your hands often, cover coughs and sneezes with your sleeve or a tissue, and stay home when you are sick. Vaccine Finder. Check in advance about cost and insurance coverage; influenza vaccine is typically covered by health insurance. Local health departments may offer free or low-cost influenza vaccines. The California Vaccines for Children program provides no-cost vaccines to eligible children 18 years old and younger.